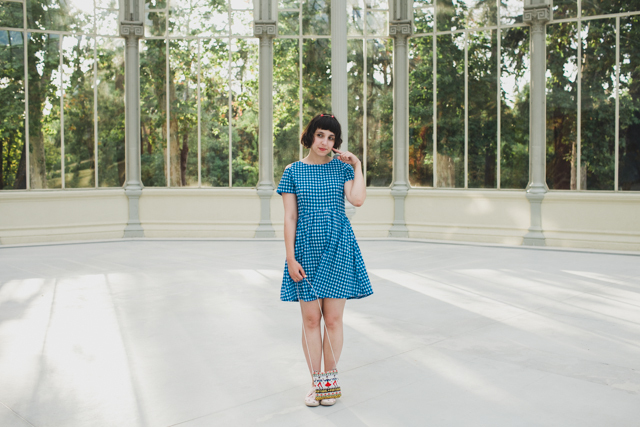 We are starting the Madrid short trip series of posts with a rather unusual one, an outfit post. 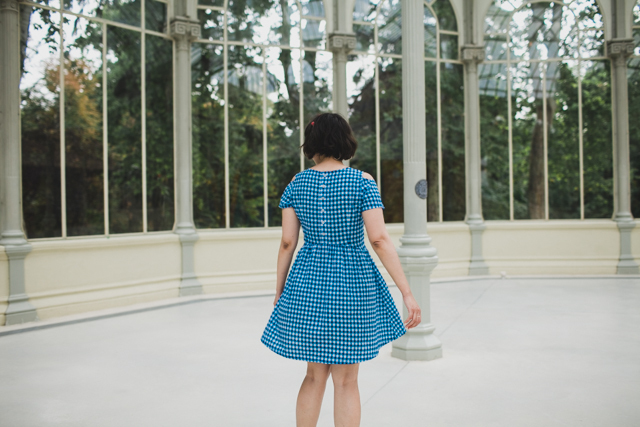 I am really eager to explain a little bit what we visited in Madrid and how it felt being with my family, but since this was a very unusual travel as well, I think it could be fun to simply start with my favorite place in the city: El Palacio de Cristal. 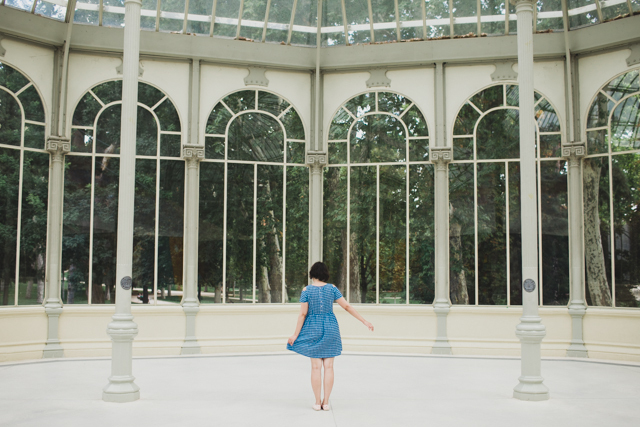 El Palacio de Cristal is a greenhouse inside Madrid’s most famous park El Retiro. El Palacio de Cristal was constructed as a look-alike for the Crystal Palace in London, a big metal and glass structure that was going to held a Philippines exhibition, with an artificial lake built at its feet. The building is magnificent and I couldn’t believe my eyes when I was inside and saw how the light was touching everything, a bright almost empty (they still hold exhibitions in the middle of the building) wonderland palace surrounded by nature. 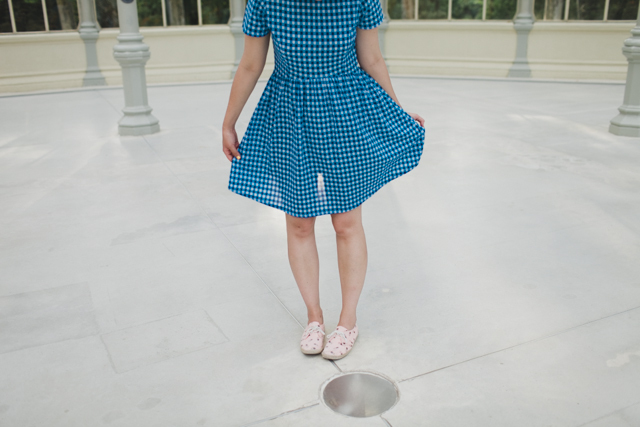 Dress: Kling (sold out, similar), Shoes: H&M, Flower crown: Susi sweet dress, bag: souvenir from Portugal. 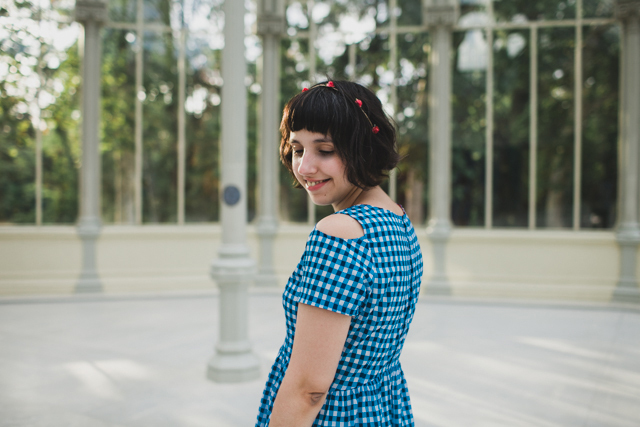 I was wearing that day my new favorite gingham dress, well, using the word favorite when I only have two gingham dresses may be a little too enthusiastic, ha! 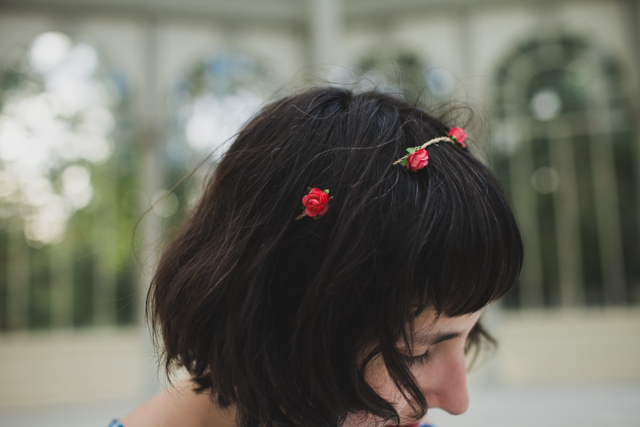 The dress & my tiny flower crown turned to be quite a good match for the summer palace, don’t you think? The minute my feet where inside the building I started dancing around, it was having the ballroom of my (Disney) dreams for us, and couldn’t help it but having that big silly smile on my face all the time. 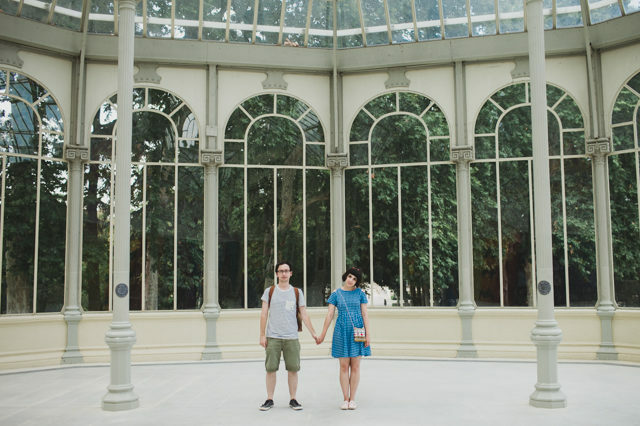 Bonus track for this amazing space: free entrance and amazing photo spot (Madrid photographers are lucky indeed!). 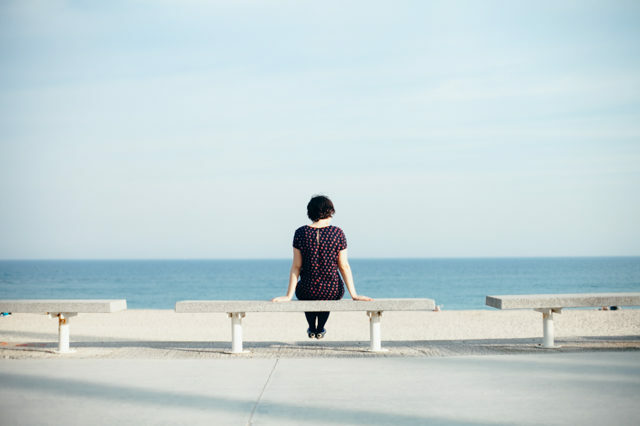 Have you ever been to Madrid? 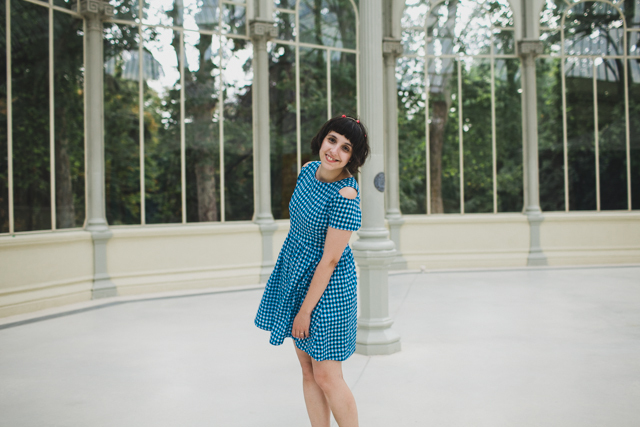 and El Retiro? 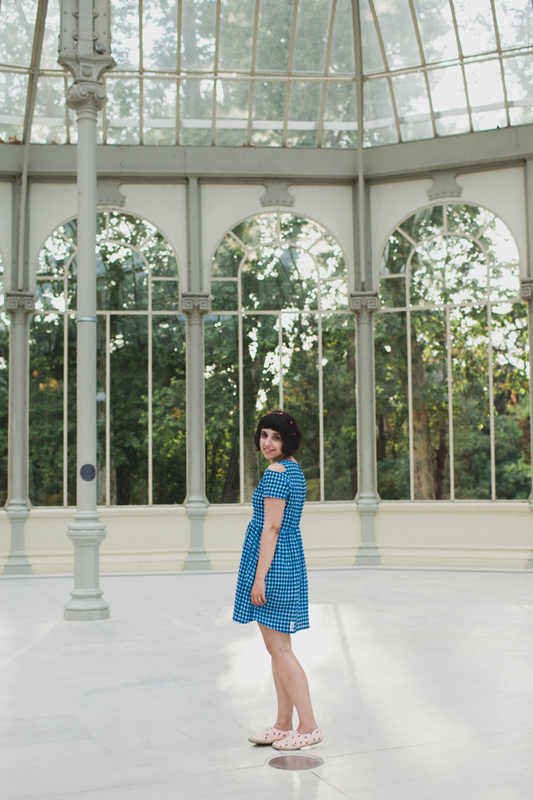 We do have tons of more pictures from the park (and its boathouse) in store for the next Madrid post, keep tuned! Wowie what a gorgeous spacious glass house! You look cute Damaris, really cute dress! Oh my gosh you are a Disney Princess!!! Your outfit is definitely on point too :) Such a lovely – magical space! Awww Fee! :) thanks! It’s a pity this space is not in Barcelona, we do have a smaller greenhouse, but have always seen it closed, duh. 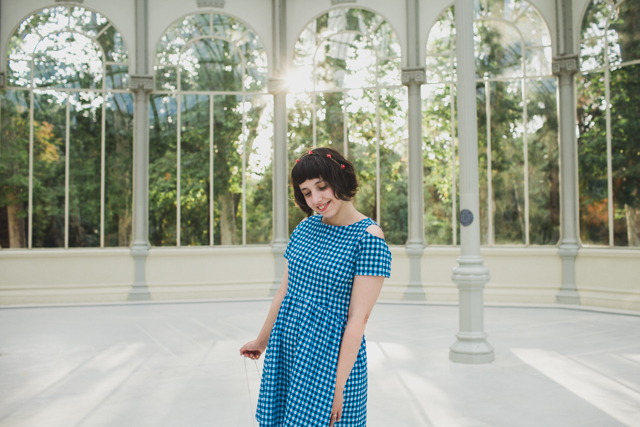 Love this dress so much it looks absolutely darling on you and the location for these photos is just absolutely perfect for this look! You are so cute.